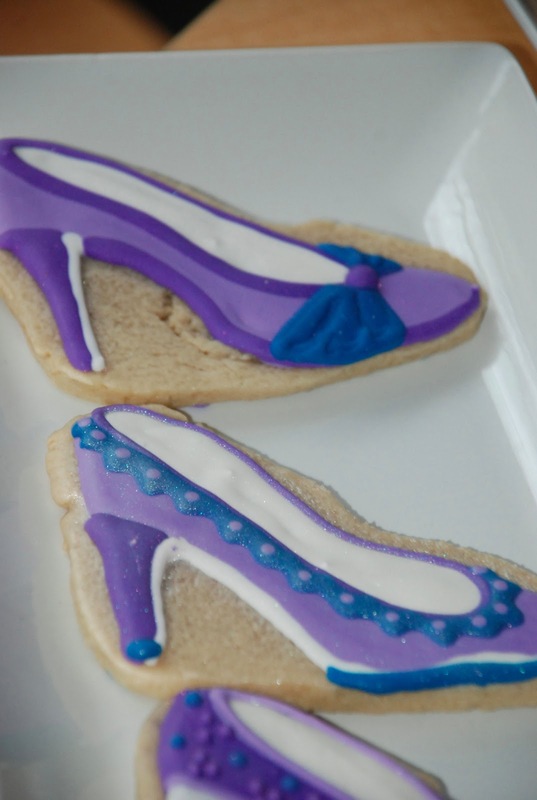 These cookies are ready for a night on the town! 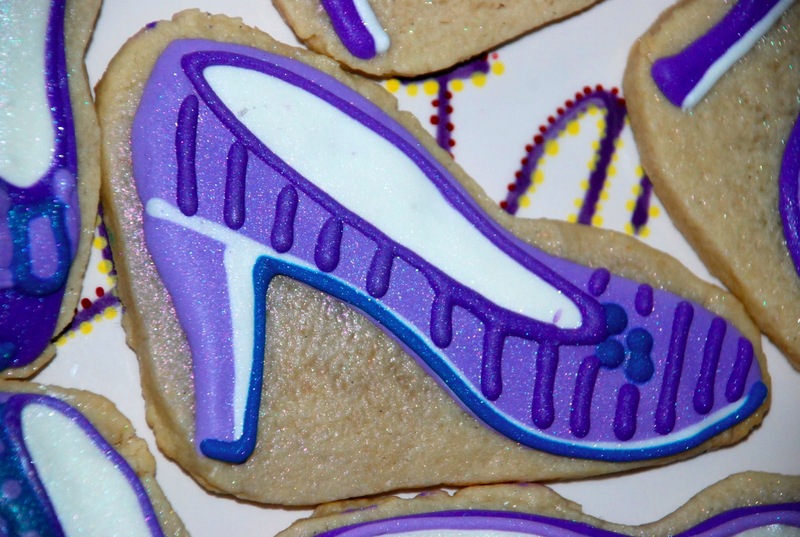 I made a set of purple high-heeled sugar cookies for my friend’s mother’s birthday. 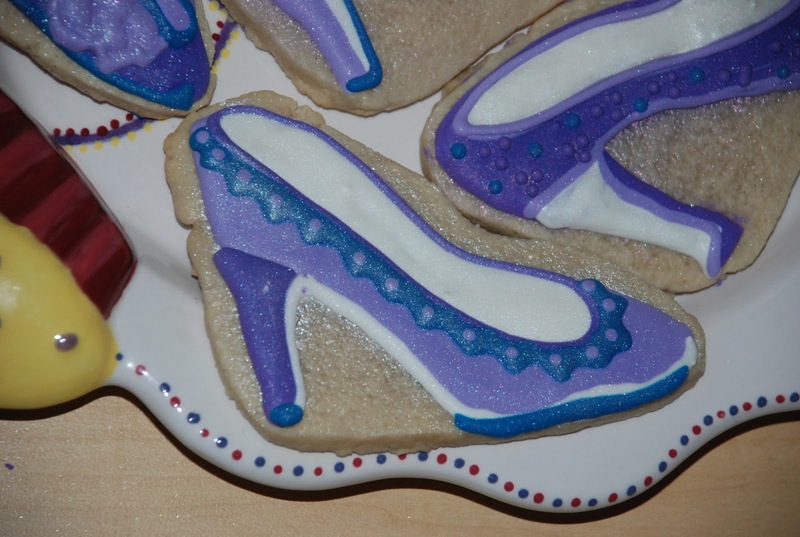 I didn’t have a heel cookie cutter and it was too short-notice to buy one, so I cut the basic shape by hand. 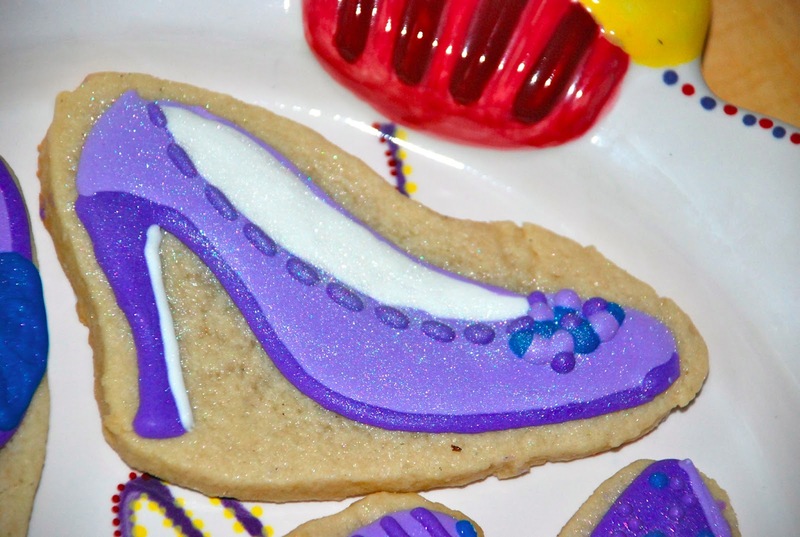 The heel shape got piped onto the cookie and I left the background blank. I wasn’t sure how it’d look, but I like the way it came out. Really lets the shoe shine. 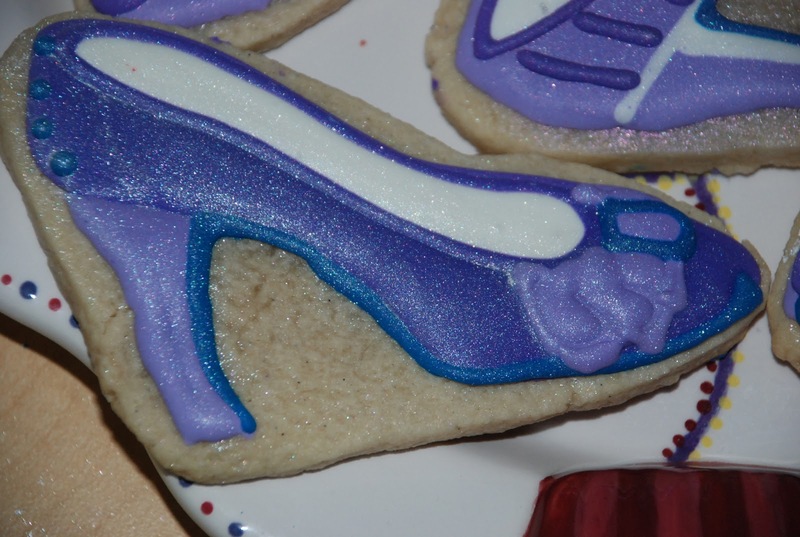 Next time, I’ll be more careful to keep the sparkle on just the icing, not the cookie base! Everything was covered in luster dust and glitter dust for an extra sparkle and shine. This one here was one of my favorites. Fashionable and fun! 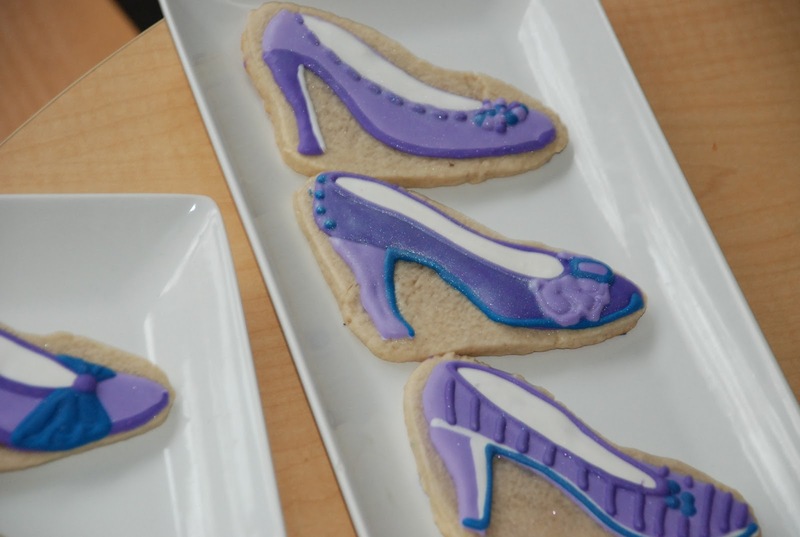 I’d totally wear that purple shoe with the teal bow. All lined up and ready to go out for a walk. Some of the shoes came out rather funny-shaped, so I think I need to give these another go so I can really perfect them. 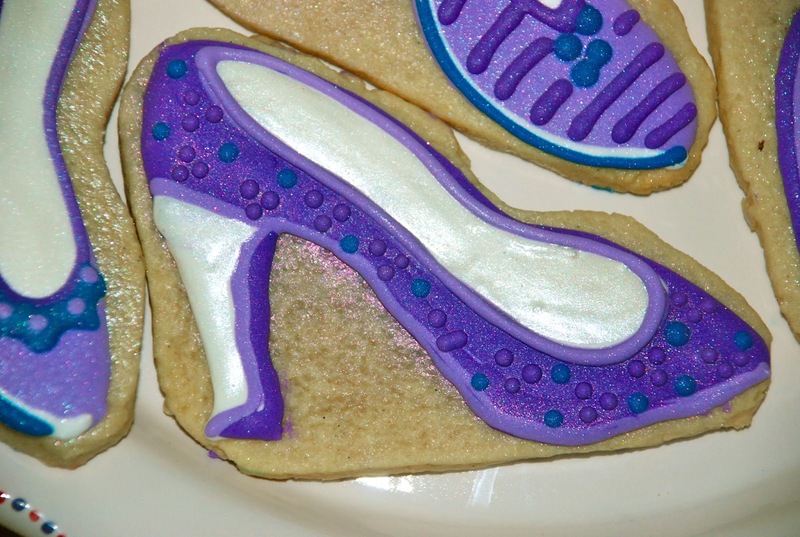 Perhaps a high heel cookie cutter is in order.